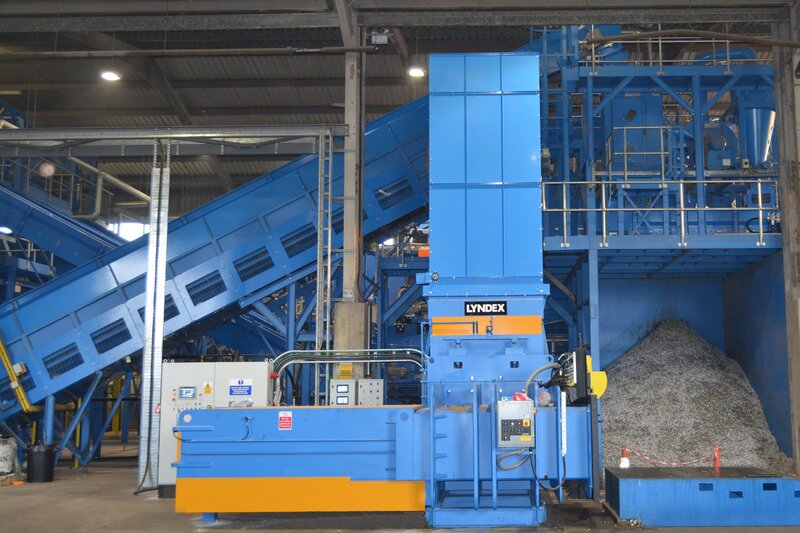 Lyndex Recycling Systems, a UK-based manufacturer of high volume balers and waste recycling machinery, will highlight a range of 2-Ram balers processing waste plastics, paper and other recyclates, together with the company’s cloud-based data logging and diagnostic solution.. Designed in response to increasingly sophisticated segregation of material recycling fractions, the Lyndex Ram II is a medium range baling solution developed to work with multiple waste streams and equipped with a 16 material grade ‘recipe’ system to optimise bale production for different waste fractions. Five machines variants are available offering a choice of size and footprint to suit different bale formats and with a main ram press force ranging from 80 to 160 tonnes to match different waste streams as well as volume, speed and throughput requirements. The combination of advanced hydraulics operating at 4500 psi (315 bar), with energy efficient variable speed displacement pumps, helps to reduce the footprint of the machine compared to competing products, while delivering equivalent or increased press force and significantly improved cycle times, to improve productivity and throughput for today’s operators. Lyndex will also showcase its latest cloud-based data logging and diagnostic solution, available on all Ram II balers, designed to provide customers with easy access to essential equipment data and new levels of capability to monitor, manage and control operations and performance via a smartphone, tablet or PC. The online solution provides live real-time remote access to machine status and diagnostic information, including fault, service and inspection alerts, together with a range of production and operational data covering production figures, downtime, throughput, performance and other factors. These in turn can be exported for further analysis and reporting. Information is presented through a series of management dashboards with graphical representations of equipment, colour coded with live data values, plus run-time graphs, counters and key statistics, enabling customers to visualise operations, understand performance and improve management and control. Fully configurable and already in use at 10 customer sites across Europe, the Lyndex Cloud Data Logging Solution is available as an option across the latest generation of mid to high-end balers including the Meggabite baler range. Once per year Europe's entire PET value chain meets in Brussels for the annual Petcore Europe Conference. Due to its success in recent editions this year's conference was held for the first time over two days and welcomed more than 200 industry experts. 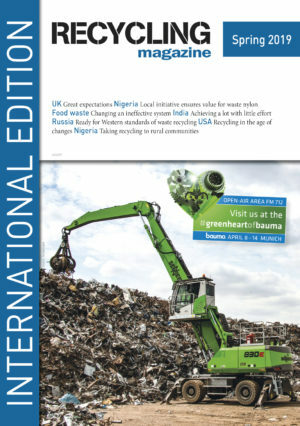 News that China would ban certain scrap imports shook the recycling industry last summer, yet U.S. global scrap exports increased overall in 2017 according to a new analysis from the Institute of Scrap Recycling Industries (ISRI).